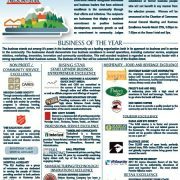 The Chamber of Commerce Business Excellence Awards recognizes businesses and business leaders that have achieved excellence in the community through their efforts and initiatives. 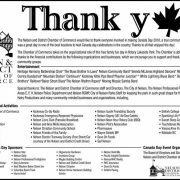 The recipients are businesses that display a sustained commitment to positive business development, economic growth as well as commitment to community. 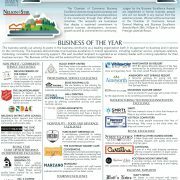 Join us in celebrating Business Excellence in our community. Nelson & District Chamber of Commerce will be hosting our AGM March 28th at 5PM at the Prestige Lakeside Resort. Business Awards to follow. Over the last five years Canada has been a high-tech job creation machine. Year after year, the Toronto area alone has generated more technology jobs than San Francisco, Seattle or any other U.S. city. Vancouver has seen a similar economic boom. Both cities, with top universities and hospitals, a high quality of life and an enormous pool of existing talent, act as magnets for tech startups and companies looking to expand. But as rents rise and cities become more hectic, there is a group of Canadians who have been studying how to unlock an enormous national resource, the open spaces of rural Canada. And there are early hints of victory. Brad Pommen, founder of Smrt1 Technologies, stands out as one example of a rural development success story. Pommen, a computer whiz from Alberta, did not move to the “Big Smoke” to launch his tech startup. 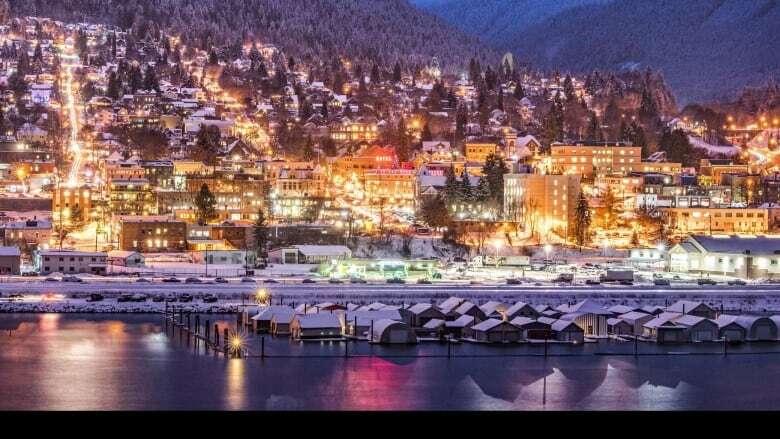 Instead he founded his company in Nelson, B.C., a community with a population of about 10,000, half way between Calgary and Vancouver. One of the things Pommen did after he arrived in the city about 10 years ago was to start the Nelson Tech Club, a place for computer enthusiasts — and wannabes — to congregate, learn and share ideas. As well as helping to make the community a dynamic technology-aware place, it paid off in another way. 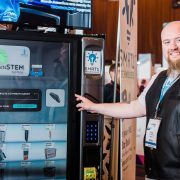 His essential idea was to create touch screen technology linked to the internet that adds to the capabilities of existing vending machines. Customers can see images of the product being sold, everything from food to shoes to computer parts, and obtain detailed information about the products on offer. “And once I’d invented the technology, I realized it didn’t exist for the entire 15 million existing vending machines in the world,” he said. Pommen and his local team have assembled a prototype, linked up with distributors, suppliers and customers, all without leaving Nelson. “We work with people all over the planet,” says Pommen. Mary Doyle, founder of a network called Rural on Purpose, works from Belleville, Ont., a community on the highway between Toronto and Montreal that boomed in the 19th century during Canada’s version of the first Industrial Revolution. Doyle is part of a Canadian and global network of people trying to share solutions to problems that have impeded smaller communities from attracting and keeping jobs (like many others she extends the term rural to include smaller cities that remain connected to the countryside). And while many communities are still shrinking, she says things may be turning around. But she says Belleville, like Nelson, is a community poised to take advantage of the next industrial revolution, where the internet and technology, including 3D printing, allows work to be widely distributed. “If you have a company in an urban centre that is really trying to attract top talent and that top talent wants to be able to live wherever they want … the company has to be able to accommodate that,” says Doyle. “Nineteen per cent of freelancers currently live in rural communities,” says Doyle. 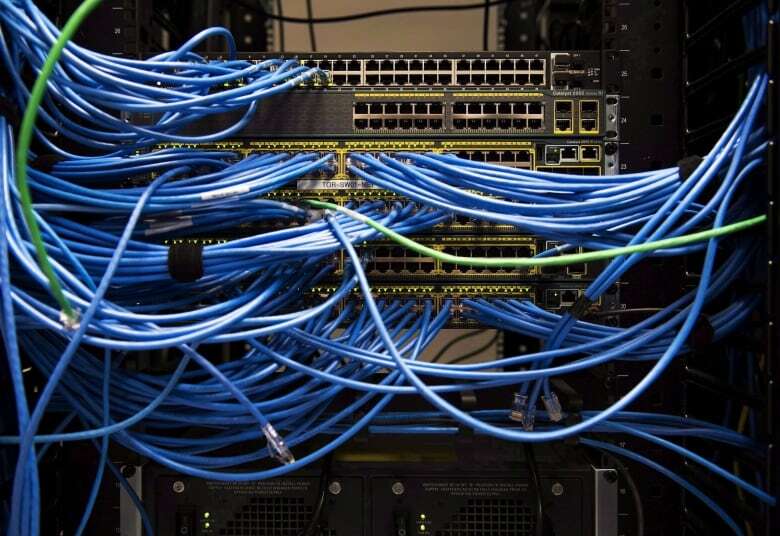 For freelancers and remote workers, high-speed internet is key. One common problem is the loss of young people from rural communities as young adults head off to the city to seek their fortune, a phenomenon studied by Karen Foster, a professor at Dalhousie University. While there is evidence that many young people fail to grasp the diversity of employment opportunities in smaller communities, Foster says even parents have trouble encouraging their kids to forgo the advantages of leaving home. On the other hand, in large expensive cities, that higher lifetime income may buy a much poorer quality of life. “I don’t miss the traffic,” says Aimee Coueslan, who lived in Toronto for 13 years before moving to Brandon, Man., where her husband had accepted a job and where you can buy a comfortable three-bedroom detached home for less than $300,000. Coueslan, who just started back to work herself last year after a decade-long break to raise three children, just can’t imagine how she could have raised a family in the big city. Like many others wanting to have children, she was pleased to exchange the perceived advantages of the city for a better quality of life. Wayne Kelly, who manages the Rural Policy Learning Commons, a network of experts studying how to extend the boom to the boonies, says many of the young people who settle in smaller communities seeking a rural lifestyle and rural recreation, are not the ones who left. “As you can imagine it can be difficult to attract somebody back once you’ve told them they have to leave to be successful,” says Kelly. Rural Canada is still growing, he says, just more slowly than the urban centres and while every community is different, communities like Nelson that have got the formula right are doing very well. 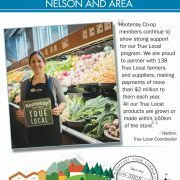 Business Buzz appears in the Nelson Star once a month. Bob Hall is the communications co-ordinator at Selkirk College and a volunteer director with the Nelson and District Chamber of Commerce. 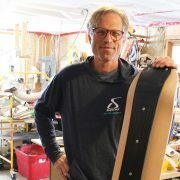 The SlopeDeck is a creation of Nelsonite Kaj Gyr, a local inventor, designer and outdoor sports-lover who turns awesome ideas into reality out of his Mountain Station workshop on a regular basis. One of his most recent creations, the SlopeDeck takes the concept of snowskating to the next level. “I wanted something that kids and adults could use on a 30-foot slope in Saskatchewan or wherever and just have fun all afternoon,” Gyr says. You can pick up a SlopeDeck locally at Tribute and Ripping Giraffe. Sticking with the winter theme and the impact locals have in shaping the outdoor industry at all levels… Olive Skateboards just released its Spitfire by Mark Fawcett snowboard. Fawcett competed in two Winter Olympics (1998 and 2002) in snowboarding and continues to coach the sport at the highest levels all across the planet. Olive Skateboards make Canadian snowboards and skateboards in Edmonton, and their new Fawcett model is a “directional pow surfer like no other.” The new board is available at Tribute Boardshop (of which Fawcett is also a partner in ownership). 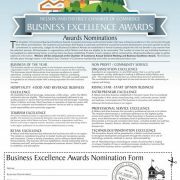 To vote for your favorite businesses or organizations it only takes minutes, and can be found at the following link. 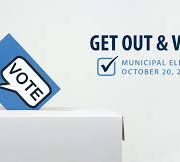 As the October 20th municipal election approaches in Nelson and the Regional District of Central Kootenay, it’s an opportunity for voters to help shape the future of our region. This year’s election has a diverse range of committed community members who have put their names forward to help lead us over the next four years. 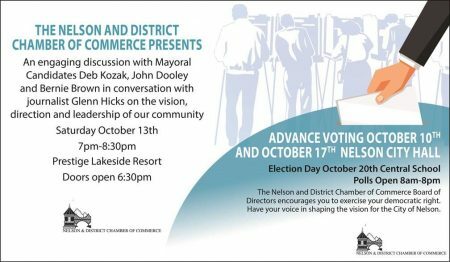 In its role of providing important information and advocacy for the business community, the Nelson & District of Chamber of Commerce is helping scratch beyond the surface with candidates to help understand what contributions these candidates would make should they be successful at the polls. The Chamber’s Board of Directors have posed three questions to all candidates for mayor, council and RDCK Area E (Area F director Tom Newell is in by acclamation). The answers to Question One are provided below. It is important to note that each candidate had a maximum of 250 words to answer the question. All candidates were contacted with the question and provided the opportunity to respond. With the exception of Bernie Brown (mayor), Robin Cherbo (council) and Robbie Kalabis (council) who did not respond by deadline, you will find their responses. The answers are provided in the order received. Questions Two and Three will follow in the next two weeks. We hope that this is helpful information in determining which candidates will provide the kind of leadership that you value. 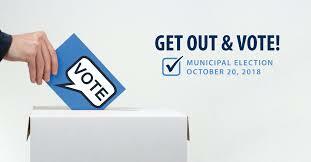 And please don’t forget to vote on October 20th! Further details and all the answers can be found by clicking the link. Thanks for your interest.